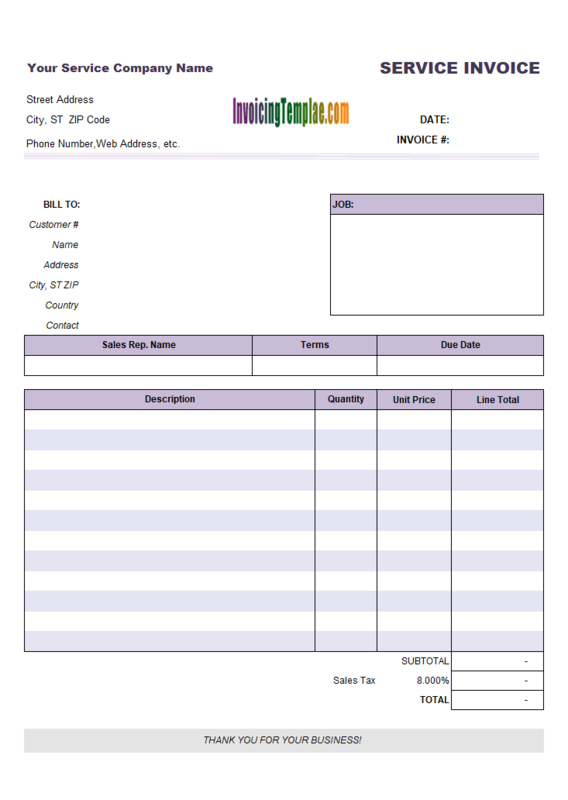 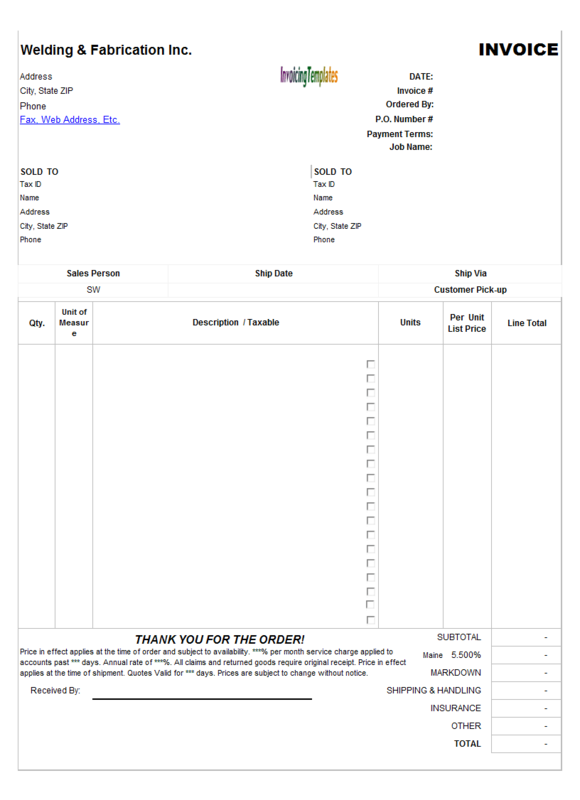 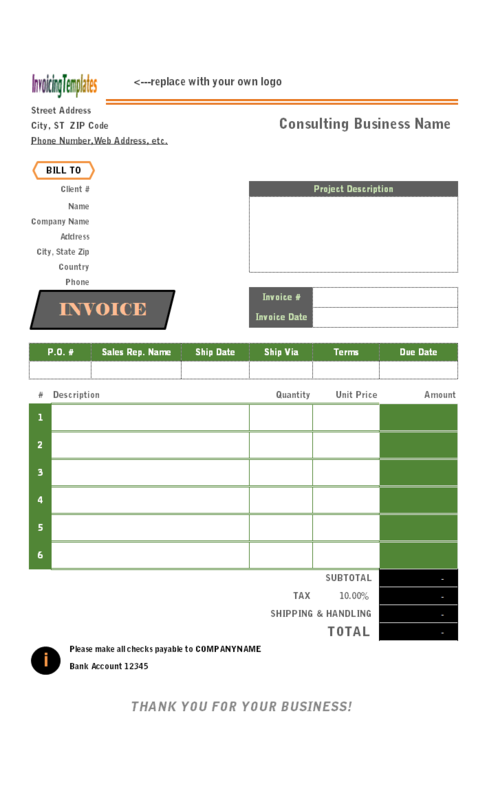 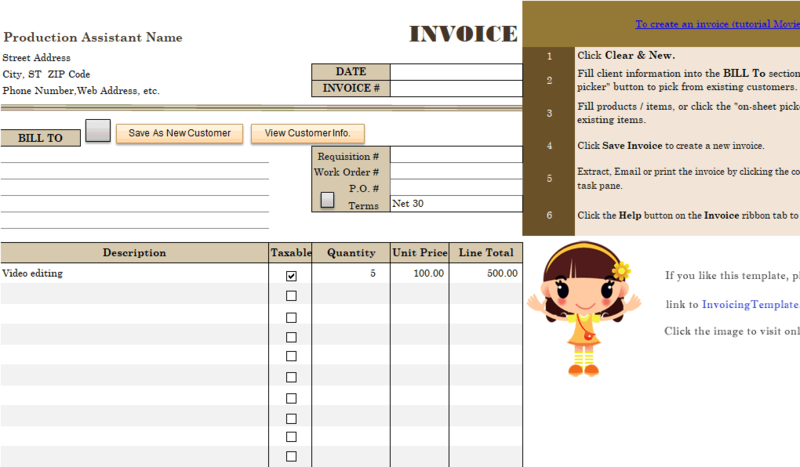 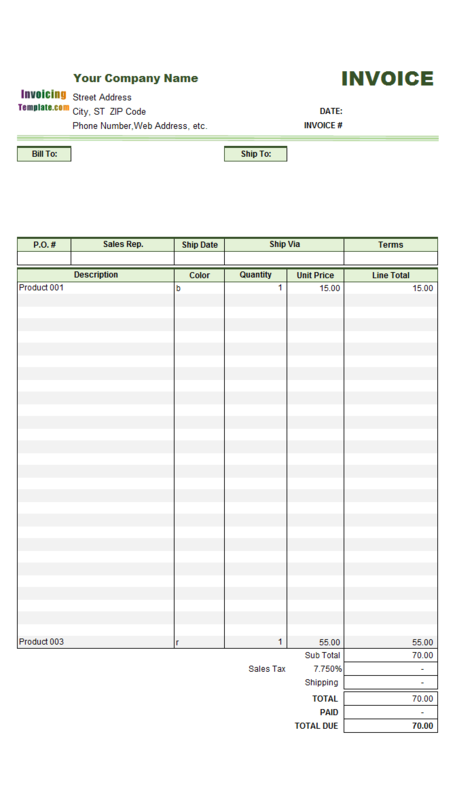 Excel Invoice Template With Product List is a sub-topic of Excel Invoicing Templates . 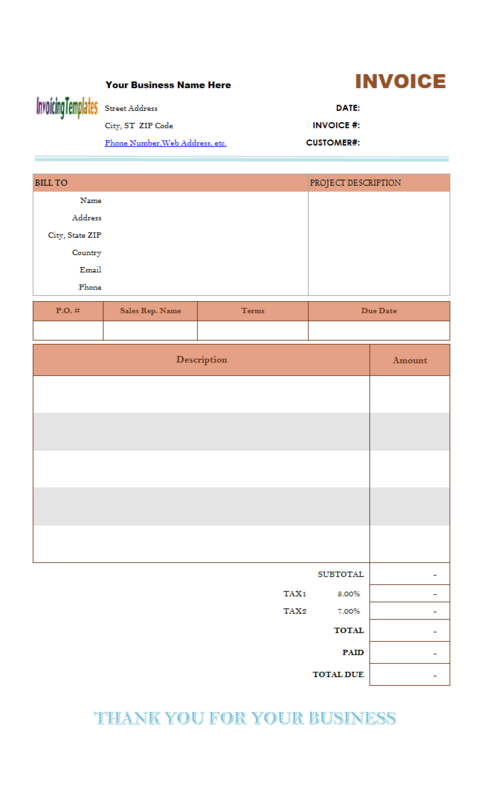 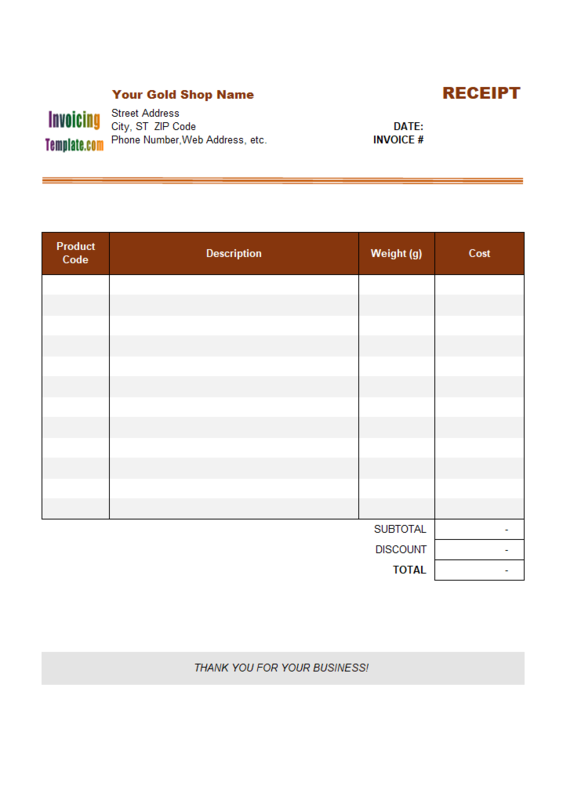 Here are our templates closely related to Excel Invoice Template With Product List. 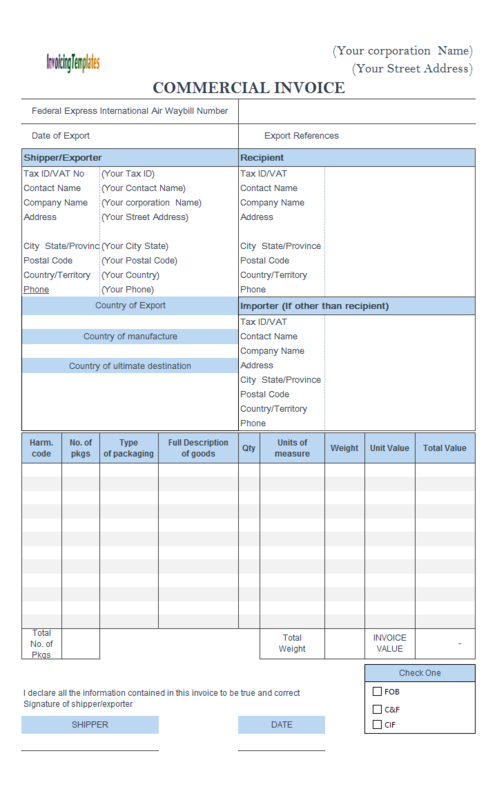 Packing list can make your work really easy so it is essential to design it before heading to your journey. 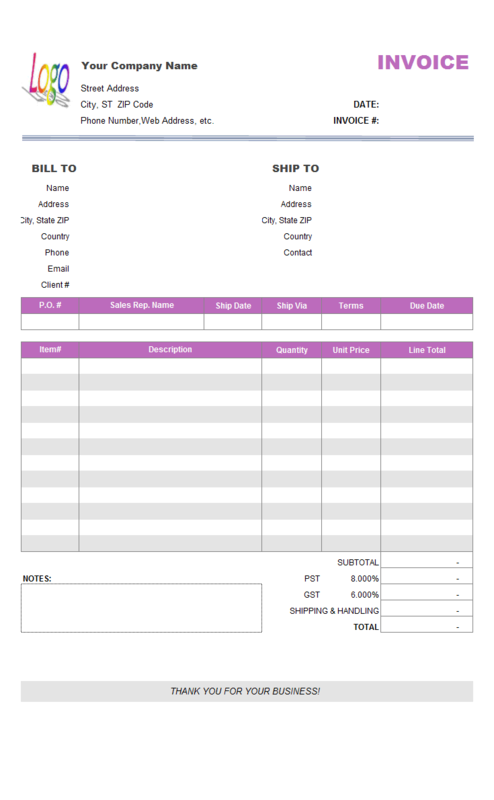 Advantages of the shipping packing list are that it helps to tally the items at different stages of shipment like from local cargo to airport. 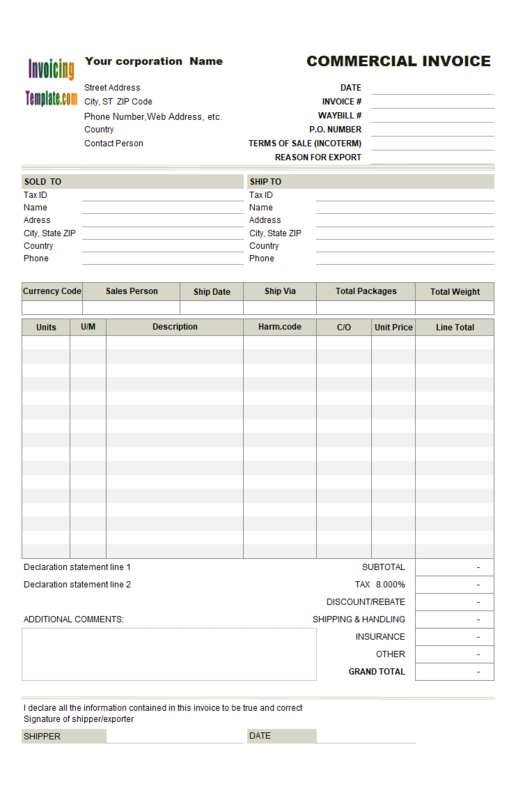 Then at airports it is useful for custom clearing of the shipment as it is easy to handle if package is accompanying the packing list. 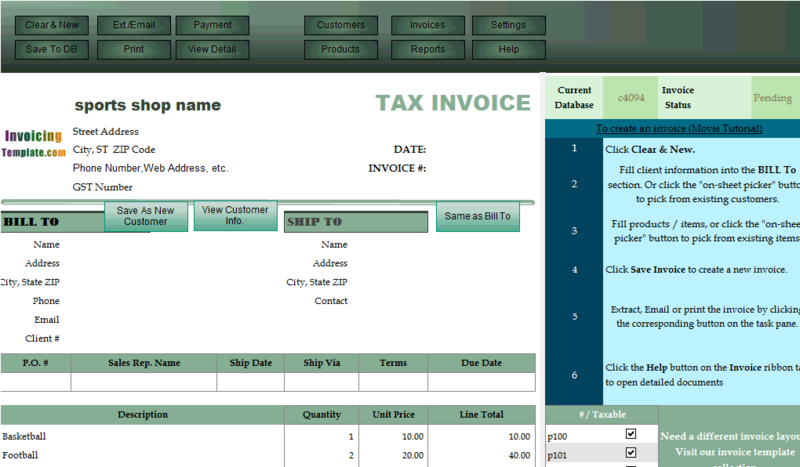 It also helps the cargo and shipping company office abroad to receive goods. 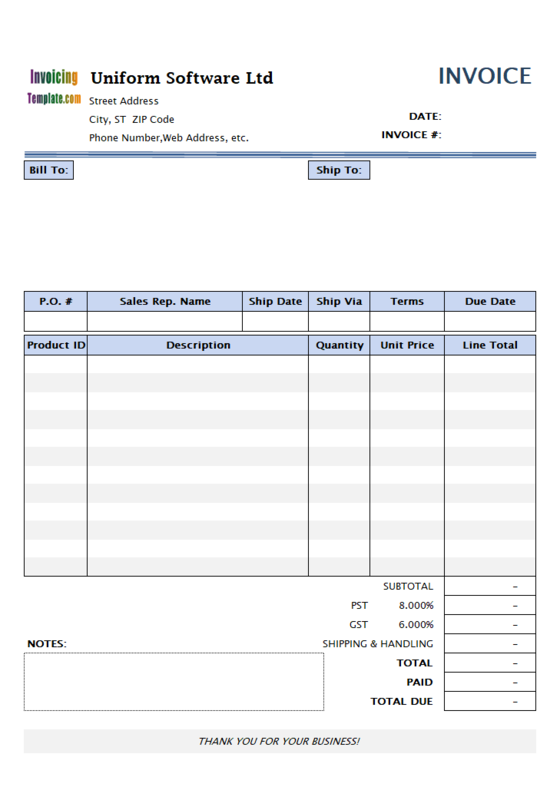 Finally it is useful for the receiving party to tally the items with the available list to verify that the shipment is accurate and contain all the items in the good state as sent. 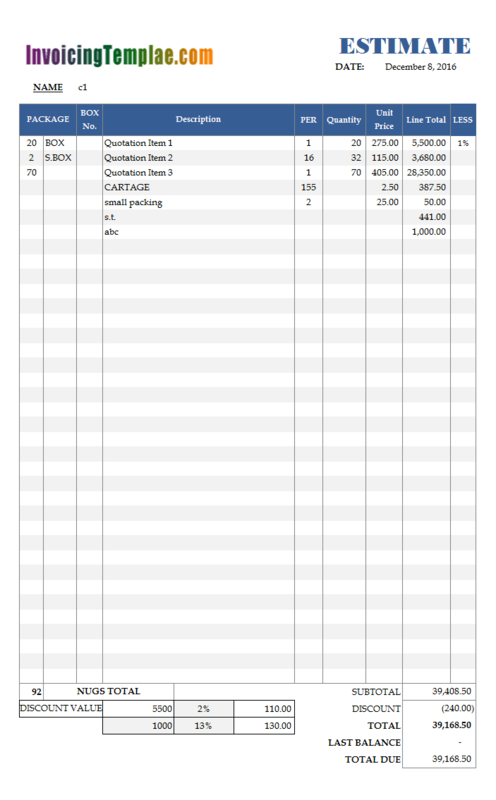 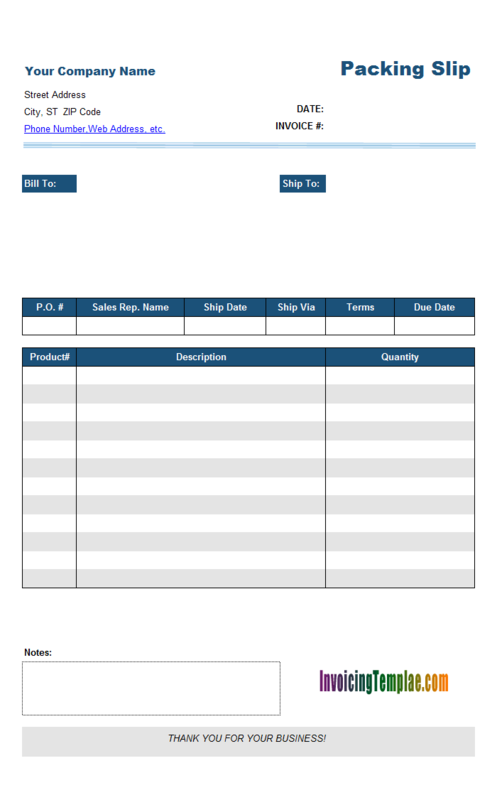 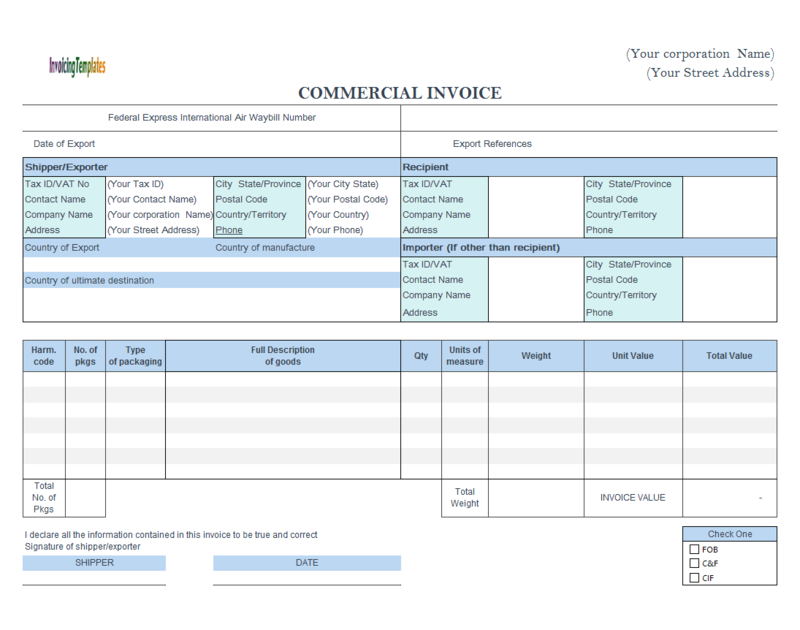 This template defines all the required fields of a valid invoice on the spreadsheet form, such as your own business information, "invoice#" and "invoice date", a "Bill To" section, payment term, tax and totals. 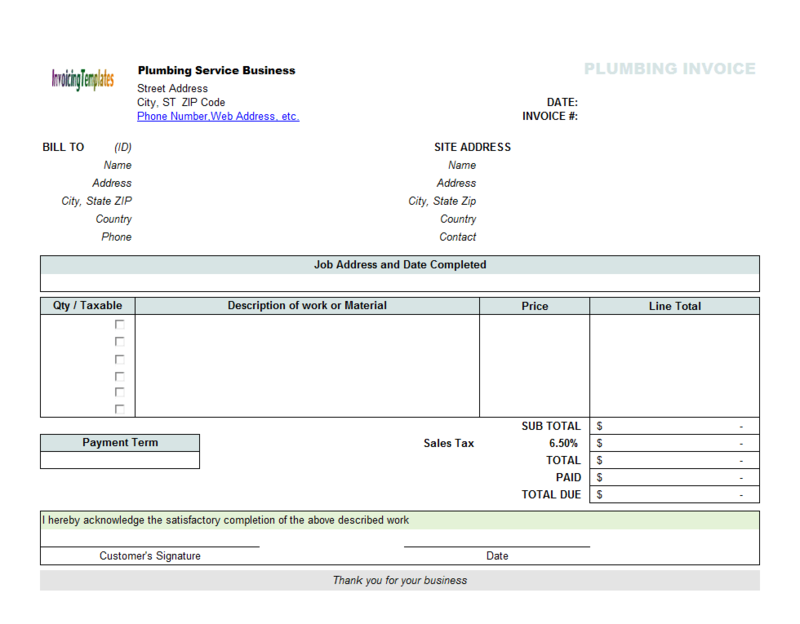 There are also 2 special fields that don't appear on general invoices - "Requisition #" and "Work Order #". 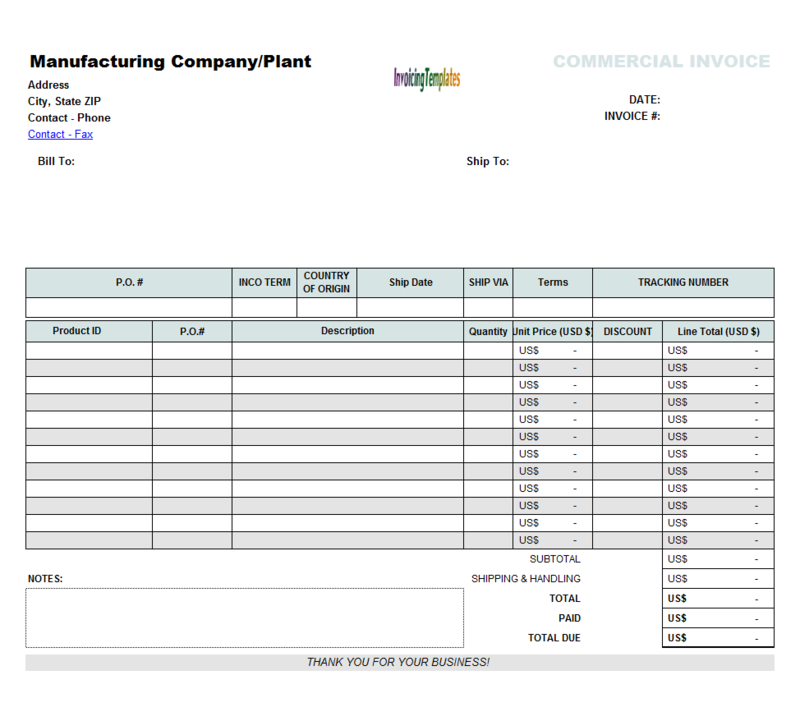 They are two custom fields defined in the "InvHdr" database table. 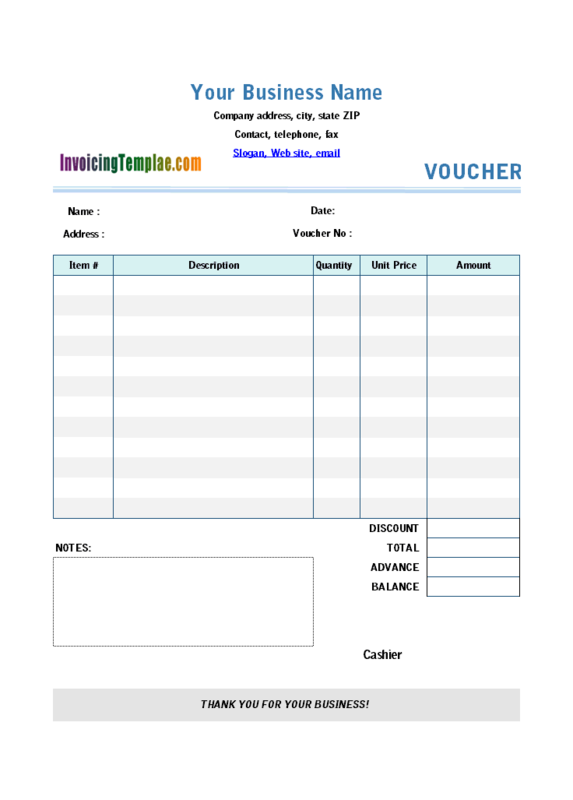 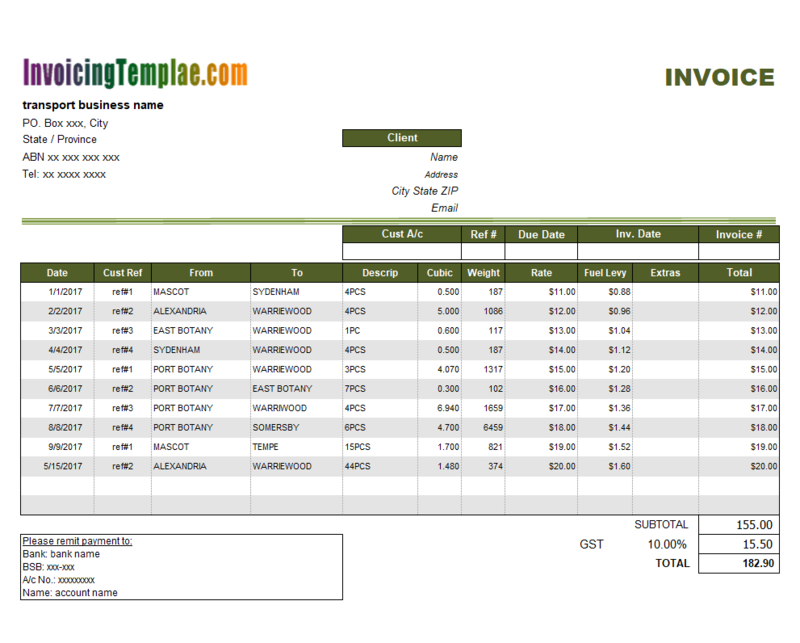 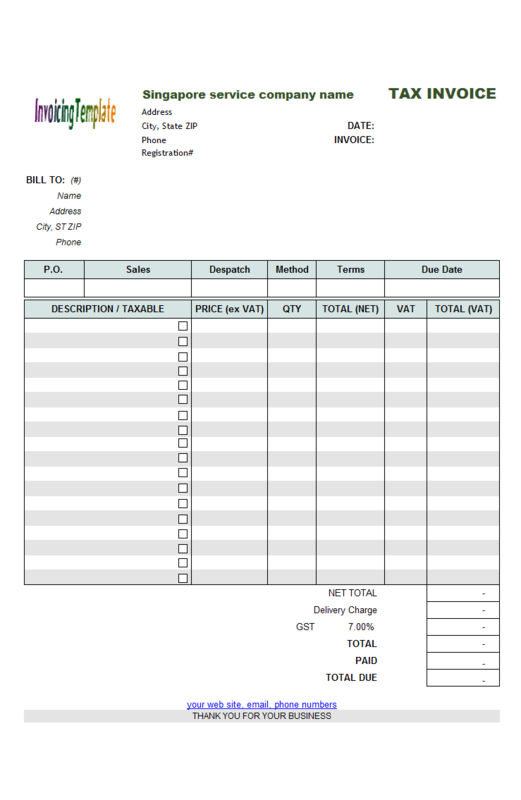 The Service Invoicing Template is the most popular template in its category "Service Invoice Template" here on InvoicingTemplate.com. 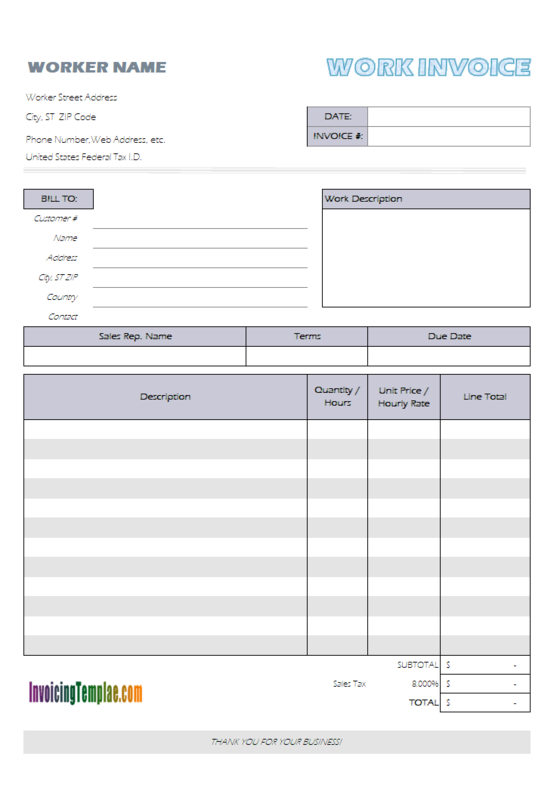 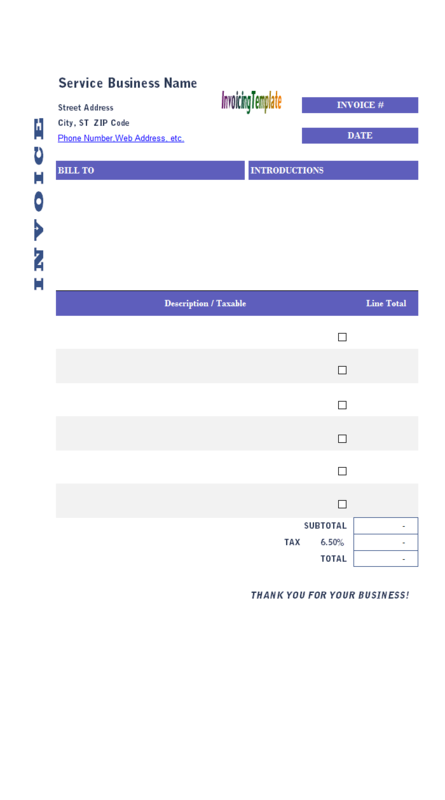 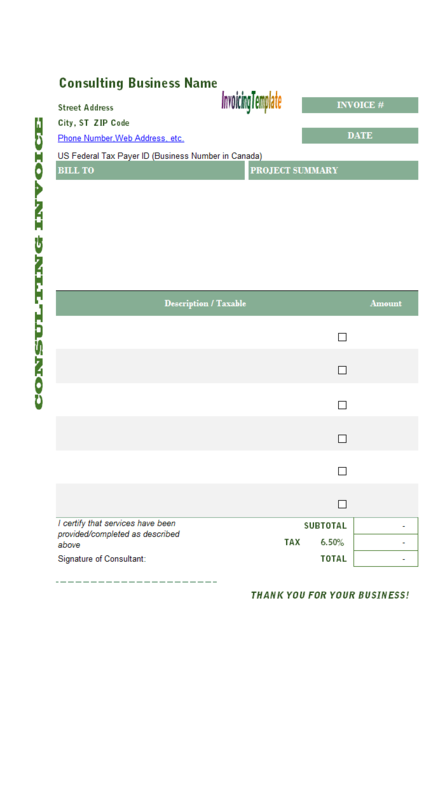 During the past several years we've built a number of variants based on this service invoicing form but this template is the most downloaded one in its category.